Total Carat Weight – 4.0 ct. tw. If you don't see your ring size, please call 1-800-425-022. We may still be able to help you. The selected ring size is temporarily unavailable. Please call 1-800-425-022 for further assistance. An endless wreath of oval-cut opulence, this 4 ct. tw. 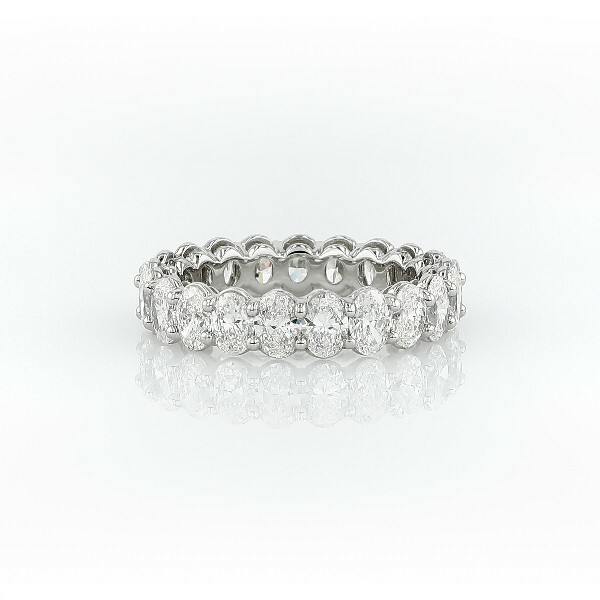 eternity ring celebrates the power of love with breathtaking brilliance set within the enduring lustre of platinum.